How could I be so fortunate to live in such an artistically rich and diverse place as the DFW metroplex? I get a little miffed that I only recently began to see and experience the many culturally enriching venues. Why now? 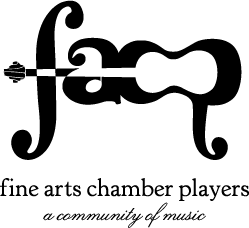 What changed that allows me to become more involved in venues like the FACP and the Bancroft Family Concerts? I retired three years ago. I have always appreciated the arts and through the years enjoyed attending museums, plays, and live music events. Now however, my time is mine to do what makes me happy, without the obligation of a “9 to 5”. For clarification, I loved my job as a federal probation officer. I found it both rewarding and fulfilling. After 20 plus years of service, and with mandatory regulations for federal law enforcement officers, l had to step into retirement. Actually, I am now a licensed professional counselor Intern (LPC-I). I work, as needed, as an out-patient therapist. What Dallas has to offer in terms of the arts is inspiring and unbelievable. I see it’s potential as an under exposed and under-tapped jewel when revealed with make life better, happier, and more meaningful for everyone fortunate to be apart of the beauty it brings.